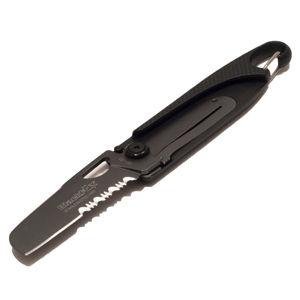 The Black Fox BF-81 is a small, lightweight liner-locked folder with an unusual design. 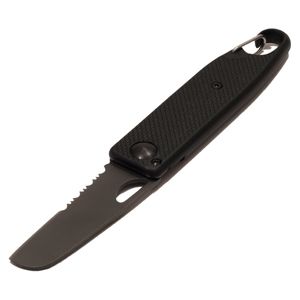 The BF-81 has a 2mm thick half-serrated blade of 440A titanium coated stainless steel. At 2.5 inches, the sheeps foot blade is perfect for light work. 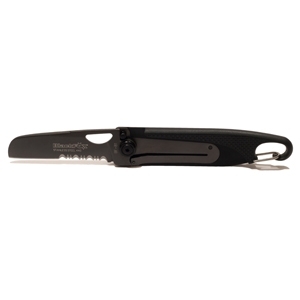 The blade folds securely into the Zytel frame, ensuring against accidental opening. The Black Fox BF-81 is for sale to over 18s only.